The week of April 8-11 will be a week of dinner groups. Dinner groups are hosted twice a month in between our socials and speaker series. Dinner groups meet just twice a month at the homes of other young adults. The dinner hosts will provide dinner. This is an opportunity to get plugged in with the community in a smaller and more intimate setting without having to just attend a large event. Dinner groups are simply a way to provide Christian hospitality to members of our community. These groups are a way to get to know each other through breaking bread together and sharing in conversation in a more personal setting rather than a large group setting every week. Each group will have 6-10 people. Do I have to attend both weeks in April? YES. We expect that if you sign up for dinner groups in April that are you committing to going to the same group twice in that month. The day of the week will stay consistent. Dinner Groups for April are full. We will start up new dinner groups in June! Join us on May 2 for our monthly social at Oak Highlands Brewery! This is a great evening to connect with new faces of the community and long time members. If you are new to Dallas or the community, we would love to see you. The brewery has many corn hole sets, foosball, ping pong, and old arcade games. It will be a fun night! Light snacks and appetizers will be available. Why Should Christians Study Philosophy? Join us for our last Speaker Series of the semester. Dr. Monty De La Torre will be our guest presenter. In his article, "Why Should Christians Study Philosophy? ", Fr. Thomas Joseph White, O.P. argues that the study of philosophy is crucial for understanding and strengthening our love of God and the Catholic faith. In the following talk, we will be discussing Fr. White's treatment of philosophy and its special role in the Catholic Church, and the meaningful role in can have in our lives. Dr. Monty De La Torre is currently an associate professor of philosophy at Collin College and Tarrant County College. He holds a PhD in philosophy from Australian Catholic University, an M.A. in Theology from the Notre Dame Graduate School of Christendom College, a B.A. in Philosophy from the Catholic University of Leuven, and a B.A. in Music from La Sierra University. He wrote his PhD dissertation on St. Thomas Aquinas’ Fourth Way. Dr. De La Torre is passionate about intellectual formation and sharing his knowledge with others. STA Young Adults Kickball and More is back starting May 16! We will meet every Thursday from May 16 through June 13 on the St. Thomas Aquinas Athletic Fields from 7:00-9:00pm. Each night will include a couple pick up games of Kickball, Ultimate Frisbee and/or Flag Football. Kan jam, corn hole, ladder ball, and spike ball are also available! Come join as we gather in fellowship to enjoy some friendly co-ed competition. No need to sign up prior to attending. These pick-up games are open to anyone so bring your friends for a good time! There are no young adult events this week due to Easter. 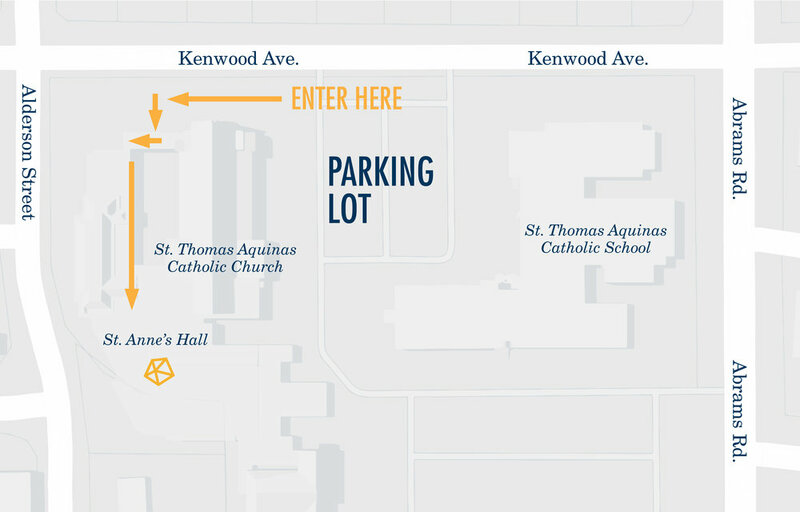 Click here to view the Triduum and Easter Masses schedule at St. Thomas Aquinas. Marriage in the 21st century carries more complex meanings and requires more sustained effort than ever before. As Catholics, we view marriage as more than a contract; it is a holy covenant. Sacramental marriage is a covenantal bond designed by God between baptized persons that is an intimate, faithful, indissoluble communion of life and love freely entered into by a man and a woman for their own good and for the procreation and education of children where Jesus Christ himself abides. Come be a part of learning about why marriage is such an important vocation. Anne E. Lucchetti, Ph.D., is an executive consultant for The Leath Group. Her 20 years of experience in university teaching (most recently at Texas Christian University and North Carolina State University), consulting, and training seminars covers such topics as Conflict Resolution, Group & Team Dynamics, Leadership, Interviewing, and Interpersonal Communication skills. Anne received her doctorate from the University of Texas at Austin with a research emphasis in Interpersonal & Organizational Communication, her master’s degree from Purdue University, and a psychology degree from Albion College. Anne is very passionate about her work, but above all truly loves her work at St. Thomas Aquinas. Anne is on her 11th consecutive year teaching the Constructive Communication class for engaged couples. Pange Língua is a Night of Worship hosted on the first Tuesday of every month from 7:00-8:30 p.m. at St. Thomas Aquinas Catholic Church following the 6:15 p.m. Mass. Pange Língua is a time of Exposition and Benediction of the Blessed Sacrament. This night of worship is open to anyone including families, youth, and young adults of the parish. It is a gift for us to gather as one Church and specifically pray for our parish community, marriages, youth and young adults, leaders, vocations to the priesthood and religious life from our parish, and for those people in our parish boundaries that do not know Jesus Christ as Lord. The night will include music, meditation, silence, Confession, Exposition, and Benediction of the Blessed Sacrament. Everyone is welcome! Those under 18 years old must be accompanied by a parent or guardian. Join young adults on Saturday for another service event at Soul's Harbor. Sign up below! We will be helping plant their vegetable garden. Upon arriving at the facilities, there is one main building that actually has the Soul’s Harbor sign on the front. There are three entrances into this building, but all doors lead to the same meeting room. There is an intro meeting so make sure and try to get there by 10am. The week of March 25-28 will be a week of dinner groups. Dinner groups are hosted twice a month in between our socials and speaker series. Do I have to attend both weeks in March? YES. We expect that if you sign up for dinner groups in March that are you committing to going to the same group twice in that month. The day of the week will stay consistent. Sign ups for March are closed. April sign ups coming this week. Join us for the 5th Annual Lenten Retreat at the Mount Carmel Retreat Center. This retreat center and Monastery is home to the Discalced Carmelite Fathers and is located on a high hilltop upon 45 acres of land. We only have 50 spots available for this retreat due to space restraint at the retreat center. This is a silent retreat just for you. We will start with a morning meditation by one of the Carmelite fathers and have a few guided prayer activities during the day. Mostly this retreat is a time of reflection, adoration, and meditation and we will end with a Vigil Mass. It's been five years since the Young Adults ministry began at St. Thomas Aquinas in a small room with just eight people. Little did we know how God was going to direct this ministry to serve his people. We have been humbled and honored to serve the young adults of the community in various ways over these past five years. We have seen countless people committing their lives to Jesus Christ and finding purpose and passion through His will being done in their lives. Let's celebrate on March 21! Dinner will be provided from 7pm-9pm. Join us Saturday, March 16 from 9am-12pm to serve at In My Shoes. The Mission of In My Shoes is to provide a safe, welcoming community for pregnant women who are homeless or at risk of homelessness. They provide the housing, tools and support to transform lives. In My Shoes helps set life in motion again - helping individuals and families heal and become whole. This day of service will include working at the home of these women doing various projects to keep their living facilities and grounds looking nice. The week of March 11-14 will be a week of dinner groups. Dinner groups are hosted twice a month in between our socials and speaker series. This is a new part of our ministry we are offering this year. Dinner groups meet just twice a month at the homes of other young adults. The dinner hosts will provide dinner. This is an opportunity to get plugged in with the community in a smaller and more intimate setting without having to just attend a large event. "Putting Your Gifts to Work"
Join us on March 7 for our monthly Speaker Series. This month’s speaker will be Nicholas Brandt. As we approach the beginning of Lent it's natural to start thinking of our resolutions to grow spiritually. This talk will help you focus on perhaps the most neglected area of Lent: almsgiving. How can we spend our time and talents better for the Lord? What ministries can we join to really put ourselves in the mission field? Nicholas will lead a guided personal reflection to figure out what more (or for the over-involved, what less) we need to be doing for the Lord. Nicholas Brandt is a proud member of STA Young Adults, a life-long Catholic, and a lover of apostolates. He and his fiancee Kathryn Gibbs both work in Catholic Schools as Campus Ministers where together they plan a total of 13 retreats a year. He's been involved in Catholic Schools for 24 consecutive years as either a student or a teacher. He also loves everything about sports, especially hockey and soccer. He loves traveling, especially on pilgrimages, and encountering the Lord in holy places. He founded Genesian Ministries, a unique Catholic theater ministry in the Diocese of Dallas, where he directs and writes plays for the greater glory of God. His favorite food is steak, and his favorite drink is beer. He would love to have either with you sometime! The week of February 25-28 will be a week of dinner groups. Dinner groups are hosted twice a month in between our socials and speaker series. Do I have to attend both weeks in February? YES. We expect that if you sign up for dinner groups in February that are you committing to going to the same group twice in that month. The day of the week will stay consistent. Join us for a social at White Rock Alehouse at 7pm. We will be set up inside. All young adults in their 20s and 30s are invited out to join us and meet members of the community. The week of February 11-14 will be a week of dinner groups. Dinner groups are hosted twice a month in between our socials and speaker series. This is a new part of our ministry we are offering this year. Dinner groups meet just twice a month at the homes of other young adults. The dinner hosts will provide dinner. This is an opportunity to get plugged in with the community in a smaller and more intimate setting without having to just attend a large event. "The World is Thy Ship: How to ride the sailboat, snailboat, and failboat"
Have you ever said anything to God akin to, “Look, I’ll do whatever you want. JUST TELL ME WHAT TO DO!”? Katie Erskine is a Maryland transplant, who moved to Dallas this summer, because she is absolutely certain… well, believes with confidence… I mean, sometimes is unsure… that God told her to. Previous to her move, Katie worked as a Youth & Young Adult Minister for 5 years and now works for the Diocese of Dallas in the Office of Youth, Young Adult, and Campus Ministry. She is ABSOLUTELY CERTAIN that God has a meaningful and fulfilling plan for every single person. Sometimes it’s smooth sailing, and most often, it’s not. The week of January 28-31 will be a week of dinner groups. Dinner groups are hosted twice a month in between our socials and speaker series. Do I have to attend both weeks in January? YES. We expect that if you sign up for dinner groups in January that are you committing to going to the same group twice in that month. The day of the week will stay consistent. Join us for a social at Slater’s 50/50 on Lower Greenville at 7pm. We will be on the balcony located inside up the stairs. All young adults in their 20s and 30s are invited out to join us and meet members of the community. The week of January 14-17 will be a week of dinner groups. Dinner groups are hosted twice a month in between our socials and speaker series. This is a new part of our ministry we are offering this year. Dinner groups meet just twice a month at the homes of other young adults. The dinner hosts will provide dinner. This is an opportunity to get plugged in with the community in a smaller and more intimate setting without having to just attend a large event. Join us for a service event on January 12 at Soul’s Harbor. Soul’s Harbor is a recovery home where men can learn tools to fight their addiction issues, or life affecting issues and live in a clean, sober and functional environment each day. The event begins at 10am and could go as late at 2:30 or 3:00pm depending on how fast things move. WEAR PAINTING CLOTHES: We will be working on repainting a bathroom. Join us for the first Thursday night speaker series of 2019. Fr. James Dorman will be joining us to talk about the meaning of the Epiphany. We will see you at 7:00pm in the Upper School Drama Room of the school. Join us for a service event at Austin Street Shelter. Some of the activities we could be working to help complete are converting all of the cots in the shelter over to real beds, cleaning projects, helping organized the clothing donation closet, ongoing enhancement projects including painting, deep cleaning, grounds care, etc. They will let us know when we get there what we will be helping with. Join us for one last social for 2018. This year we will be having our Christmas Party at Bowlounge. We have covered the cost of bowling and shoe rental for each person attending. An RSVP is required for this event this year. We will have a few light snacks but dinner and drinks are on your own. Thank you! We will see you on December 13 at 7:00pm. Join us on December 6 at 7:00pm for the last Speaker Series of the year. Fr. Edwin Leonard, the Director of Vocations for the Diocese of Dallas, will be our guest speaker. The topic will be on "Reclaiming Christmas". Fr. Edwin will speak on the importance of St. Nicholas in the church and the overall importance of the Advent season in our lives today as young adults. Pange Língua is a Night of Worship hosted on the first Tuesdays of every month from 7:00-8:30 p.m. at St. Thomas Aquinas Catholic Church following the 6:15 p.m. Mass. Pange Língua is a time of Exposition and Benediction of the Blessed Sacrament. This night of worship is open to anyone including families, youth, and young adults of the parish. It is a gift for us to gather as one Church and specifically pray for our parish community, marriages, youth and young adults, leaders, vocations to the priesthood and religious life from our parish, and for those people in our parish boundaries that do not know Jesus Christ as Lord. We say we want to follow Jesus, but we set up all sorts of limits around how much we're willing to do. Why is that? This retreat will open up your hearts even further to be transformed as a disciple of Christ. As we prepare for his coming, we should always be ready. What is holding you back? This retreat will be a simple opportunity for personal reflection, small group discussions, Adoration, silence, confession and prayer as the Church prepares for the solemnity of Christmas. We have extended the deadline to Thursday, Nov. 29 at midnight due to further interest in the retreat. The retreat is $20 and includes coffee, light snacks, and lunch. The retreat begins at 9:00 a.m. and we will conclude with the 4:00 p.m. Vigil Mass at St. Thomas Aquinas. The week of November 26-29 will be a week of dinner groups. Dinner groups are hosted twice a month in between our socials and speaker series. 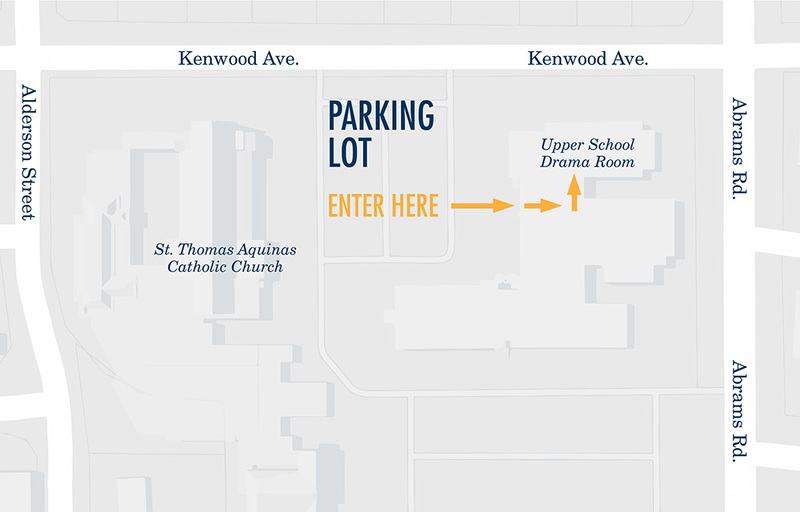 If we have dinner groups, we do not have any other event at St. Thomas Aquinas this week. Sign up for a November Dinner Group above in the November 5th event listed. Join us for the best event of the year! Bring an appetizer, side, salad, dessert, wine, beer, etc. St. Thomas Aquinas will be providing the main dish. Sign up here for an item to bring and/or a volunteer role. Location: St. Anne's Hall next to the church. There are two entrances. The easiest one is off Alderson St. The week of November 5-8 will be a week of dinner groups. Dinner groups are hosted twice a month in between our socials and speaker series. This is a new part of our ministry we are offering this year. Dinner groups meet just twice a month at the homes of other young adults. The dinner hosts will provide dinner. This is an opportunity to get plugged in with the community in a smaller and more intimate setting without having to just attend a large event. Do I have to attend both weeks in November? YES. We expect that if you sign up for dinner groups in November that are you committing to going to the same group twice in that month. The day of the week will stay consistent.